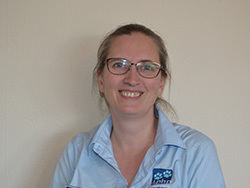 Annabel joined the Pet Health Partnership as Practice Manager in May 2017. Annabel comes from a farming background and has worked in the veterinary sector since 2011. Annabel is married and has three children, her family also includes five dogs, five cats, five chickens, lots of fish and a pony! So life for Annabel is quite busy! Annabel loves the outdoors and living in Dorset and feels very lucky living in such a beautiful county.